The legend of King Arthur and his sword Excalibur is given a 21st century reboot in this kids' adventure that marks writer-director Joe Cornish's follow-up to 2011's critically praised but financially less successful Attack the Block. It's heavily indebted to ET, with the influence of other 80s family favourites, like The Goonies and Explorers, also apparent. This London-set yarn begins with young Alex (Louis Ashbourne Serkis, son of Lorraine Ashbourne and Andy Serkis) escaping school bullies by running into a local building site. It's there he finds a sword sticking up out of a cement post that he pulls free and takes to show his best friend Bedders (Dean Chaumoo). The pair decides it is the real Excalibur, and when a quirky new kid at school (Angus Imrie) reveals he is Merlin and tells them that evil sorceress Morgana (Rebecca Ferguson) has awoken along with her army of fiery-eyed soldiers, it becomes apparent that Alex and his sword must go on a journey (to Cornwall, it seems) to save the world. Peppered with neat little moments – a lesson in sword play from magical trees, a running fried chicken gag that will put you off KFC for life, the kids using their school as a castle to defend themselves – this often entertains but never reaches the comedic or magical heights of the classic movies it emulates. 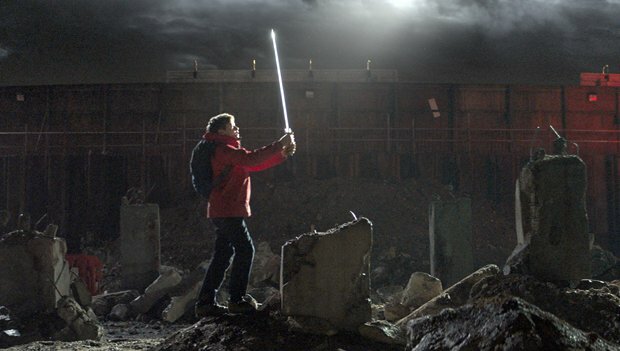 For starters, Alex's discovery of the sword throws up a few niggling questions (where is the security at such a dangerous building site? And why have none of the builders spotted a big shiny weapon in the middle of it? ), but the biggest disappointment is that Patrick Stewart pops up far too rarely as the older Merlin (who can also turn into an owl for travel purposes). Ferguson, meanwhile, is equally wasted, spending most of the movie tangled in the roots of an underworld tree, and never feeling like the formidable threat she is supposed to be. It's a shame The Kid Who Would Be King doesn't quite deliver, as Imrie and his cohorts – especially Ashbourne Serkis – are truly terrific. They're the kind of quirky Spielbergian underdogs that both children and adults can get behind, and no doubt would have become (cult) legends themselves had they been part of a sharper, better film. General release from Fri 15 Feb.